Many Brooklyn residents are about to be bored to death again. That’s because the HBO show called “Bored to Death” was just cancelled after three seasons. With the news heavy in the air, the show’s creator, Jonathan Ames, pledged to buy any fan a drink who came to the Brooklyn Inn bar in Boerum Hill, Brooklyn and shook his hand. While viewers enjoyed the show, they also enjoyed that the filming of it was authentic and that it remained close to home. 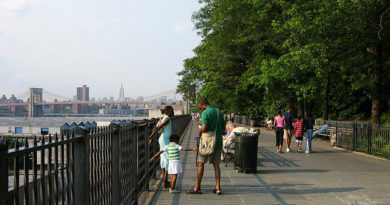 Mr. Ames explained that his home in Boerum Hill was within walking distance to many of the show’s filming locations. The show starred Jason Schwartzman as a fictionalized version of Mr. Ames. It had him as a struggling novelist and PI. It also featured Ted Danson and Zach Galifianakis as friends of Mr. Ames. Characters on the show were seen in many Gowanus and Brooklyn hotspots from a cafe in Fort Green, a bar in Park Slope, a nightclub in Brighton Beach and beyond. The final season has a seen shot at BookCourt in Cobble Hill, and Mr. Ames even arranged for a viewing party at the store. Of course, some viewers worried that Mr. Ames hit the nail on the head so well that people would start flocking to Brooklyn and wanting to move in. But, alas, the show is gone and must go on somewhere else.